First of all, I'm sorry to anyone who actually reads this blog. I'm horrible with starting a project, but never following through it. I was so excited to start this blog. 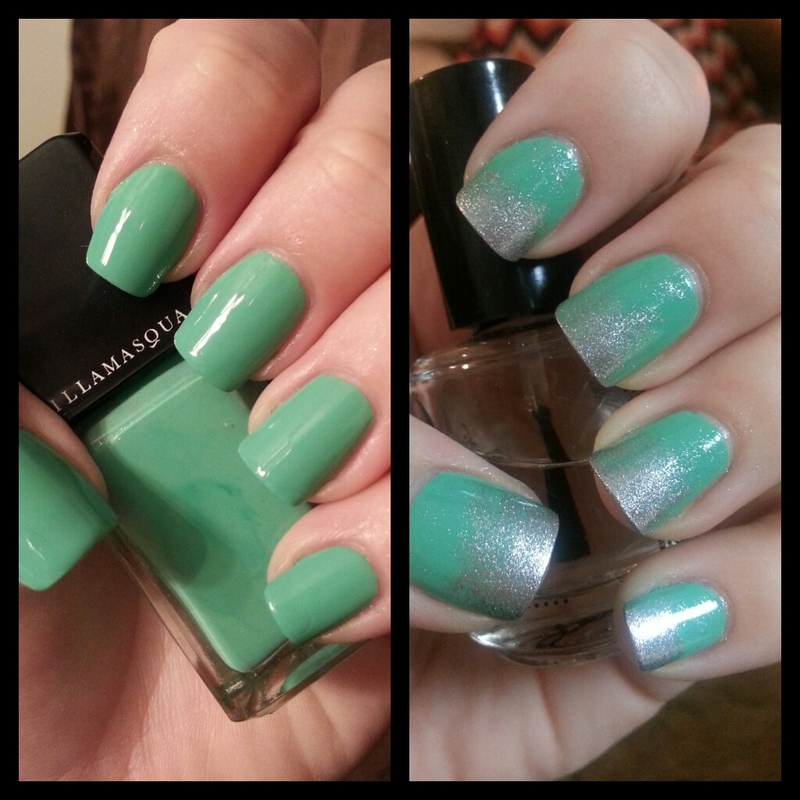 I'm always doing my nails and posting them in various Facebook groups and on Instagram (ashleyeileen_). I'm not sure what's been keeping me from making an actual blog post. Well, here's to a fresh start! 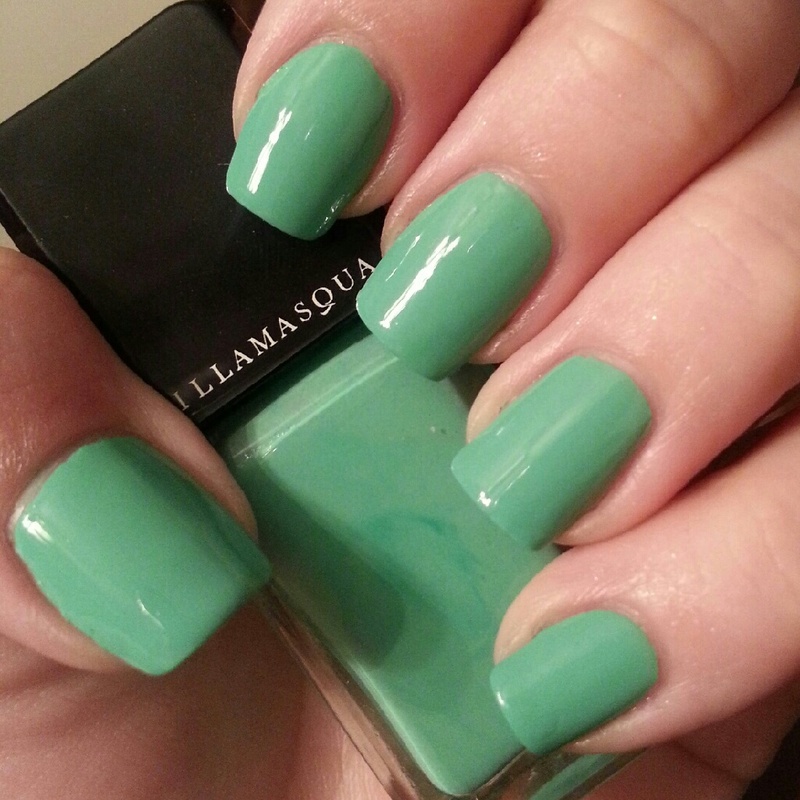 Illamasqua Nomad is a pastel jade with absolutely flawless application. I used two coats with a coat of Seche Vite for these pictures. There's more under the cut! I wore this for two days. My nails have never been such a perfect length and shape, but after two days they started to look too long for me. I decided to file them down a bit. I always file them when I have polish on. I've found that filing a naked nail gives me uneven and shorter than wanted results.My nail beds are far from perfect. By filing with a polished nail, I don't focus on how the white tips of my nails look. After filing them down a bit, I decided to revamp the polish. 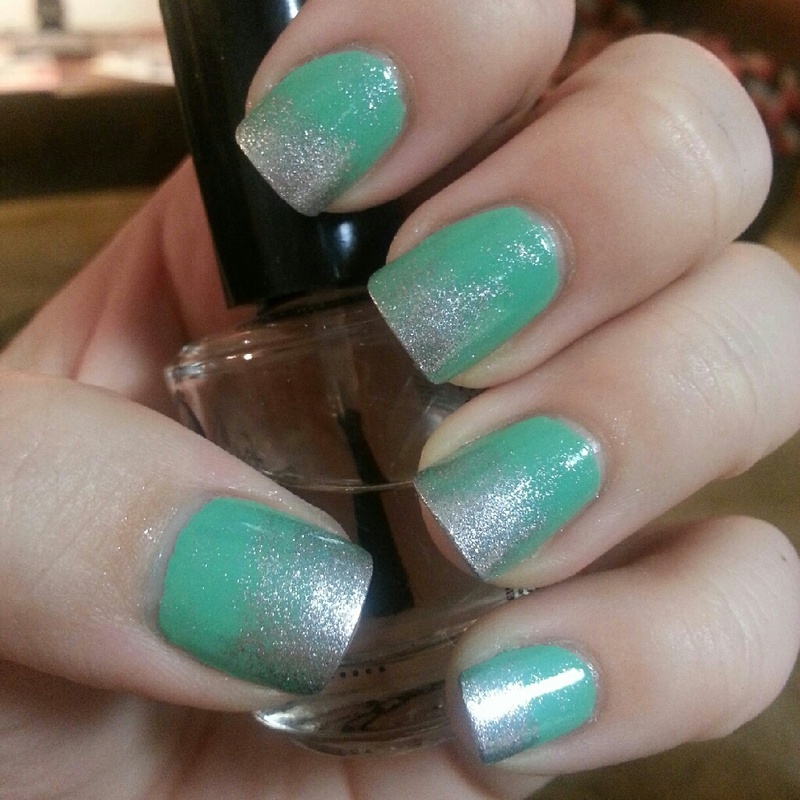 I added a sponged gradient with Zoya Trixie. It was super simple and added a nice touch to Nomad. I finished this off with another coat of Seche Vite. What's your favorite way to revamp a polish? Glitter? Stamping? Tape manicure?